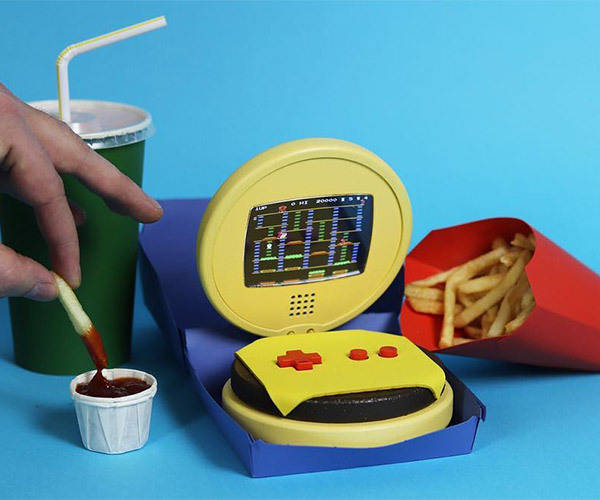 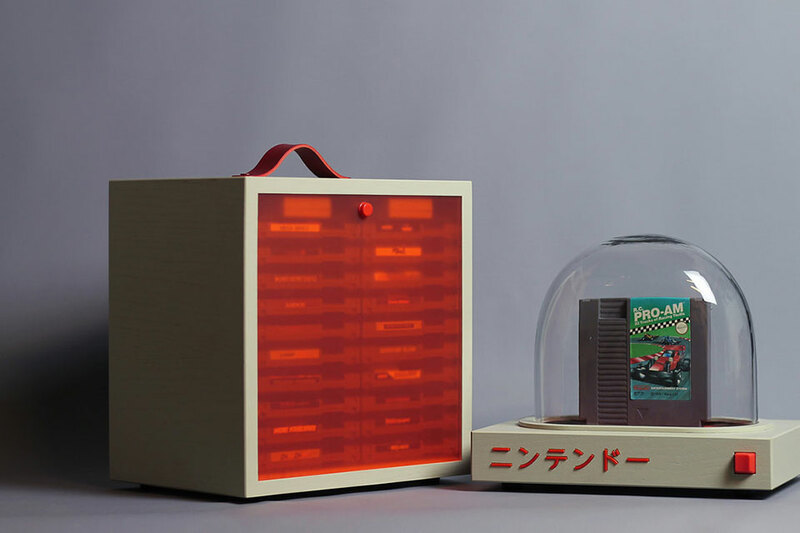 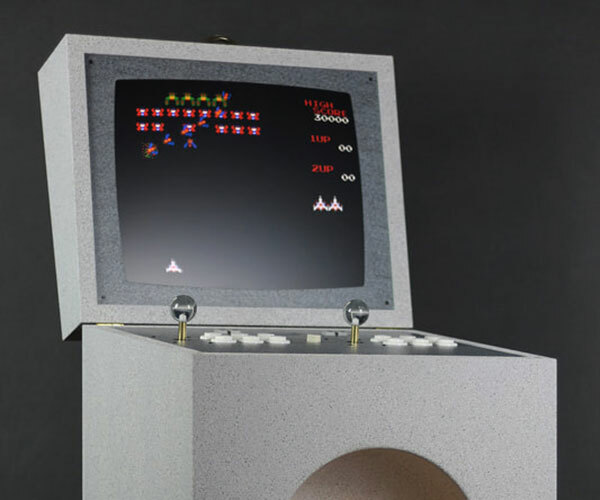 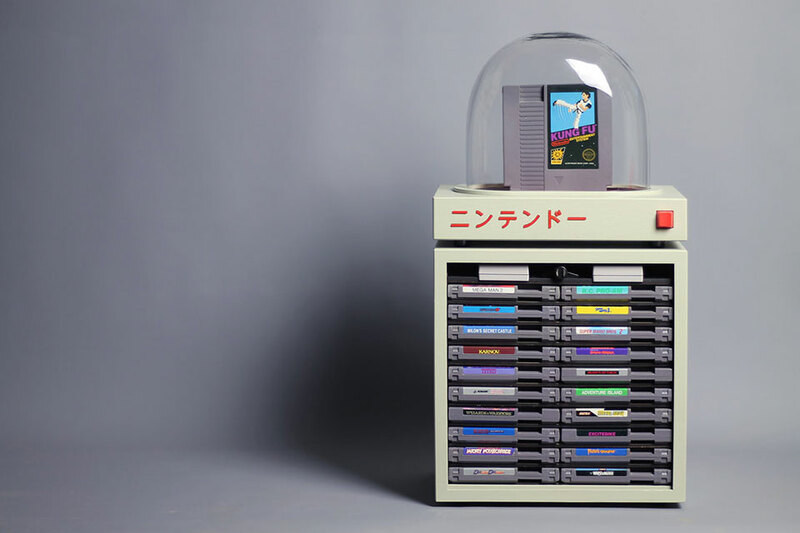 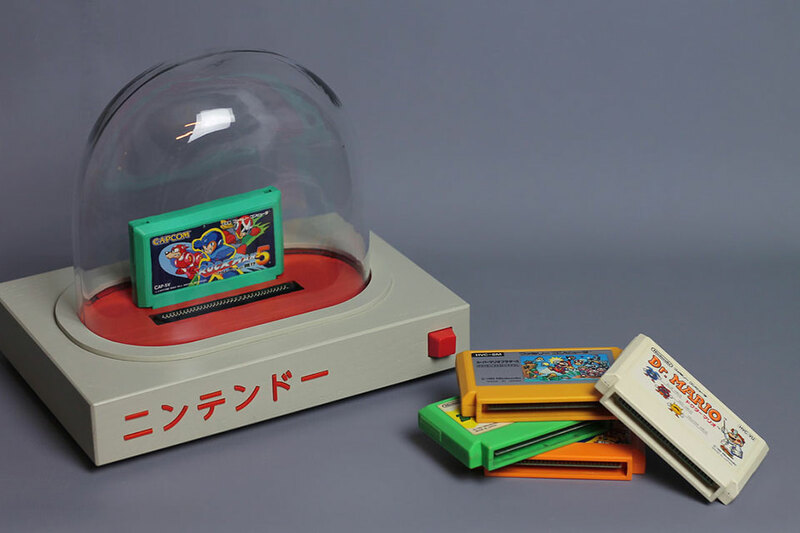 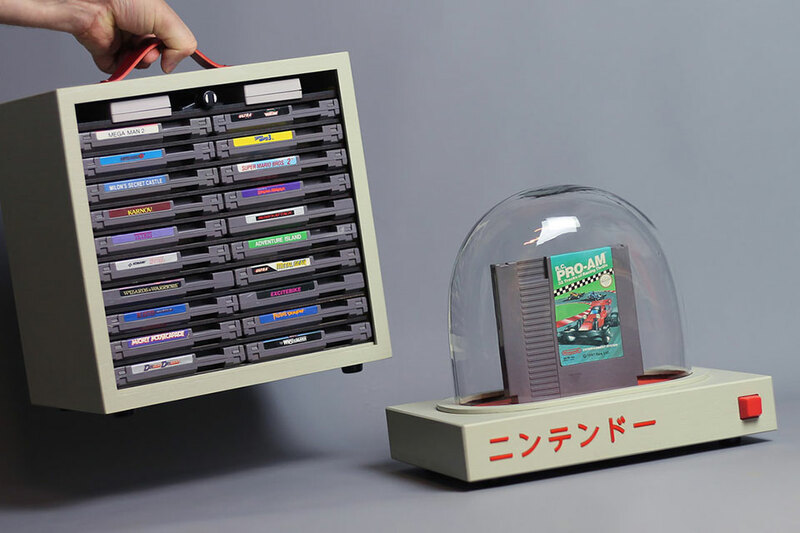 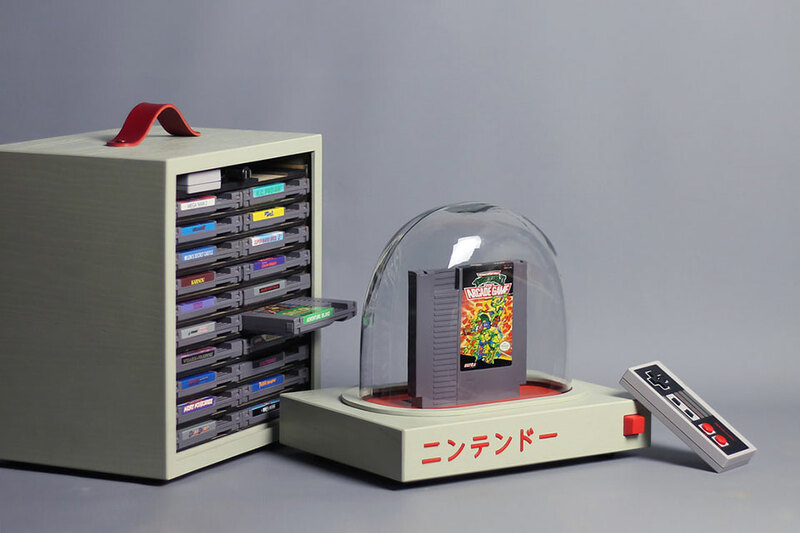 Love Húlten’s PYUA is a “Nintendo shrine” – a tribute to the NES and Famicom. 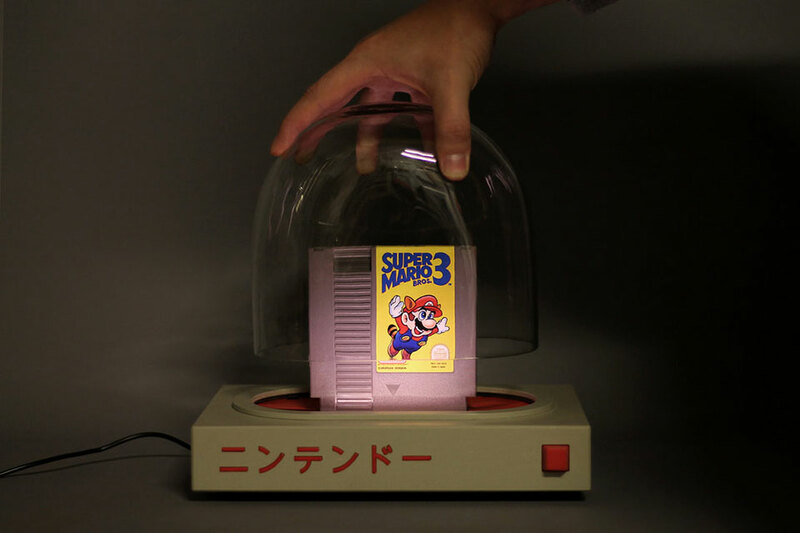 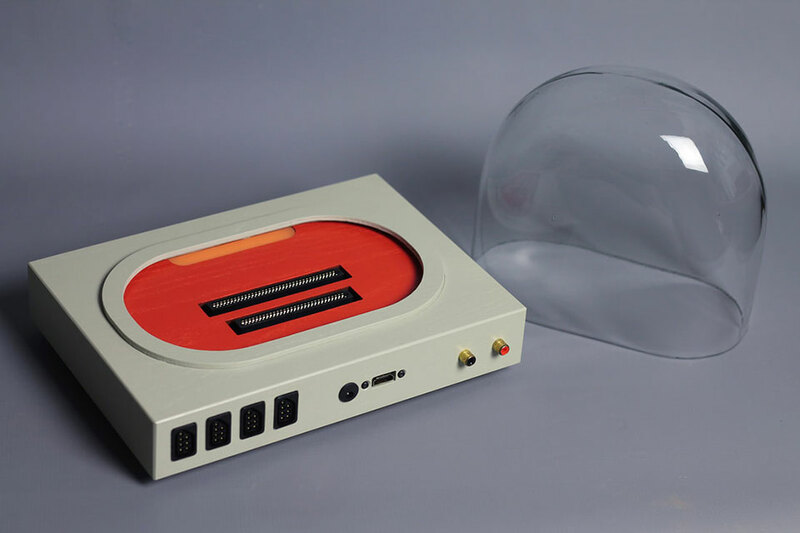 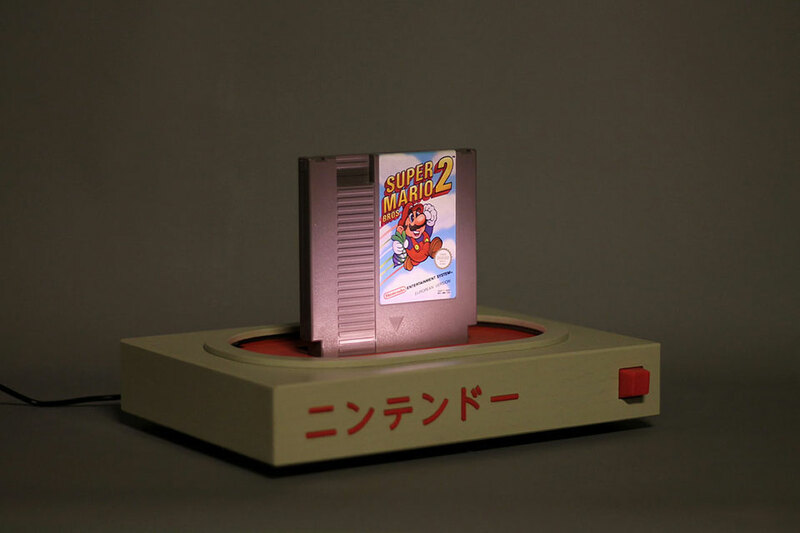 It bathes the inserted cartridge in a soft light. 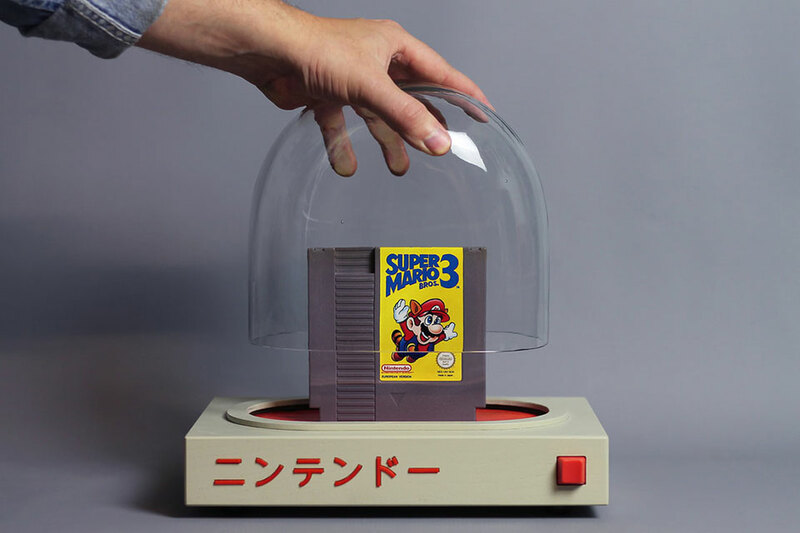 A glass dome completes the reverential design. 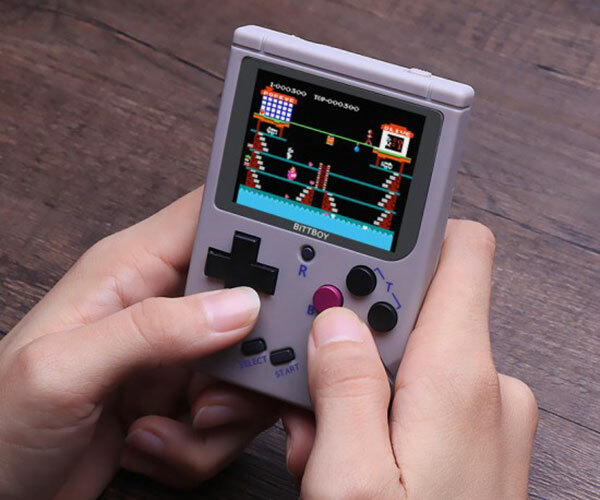 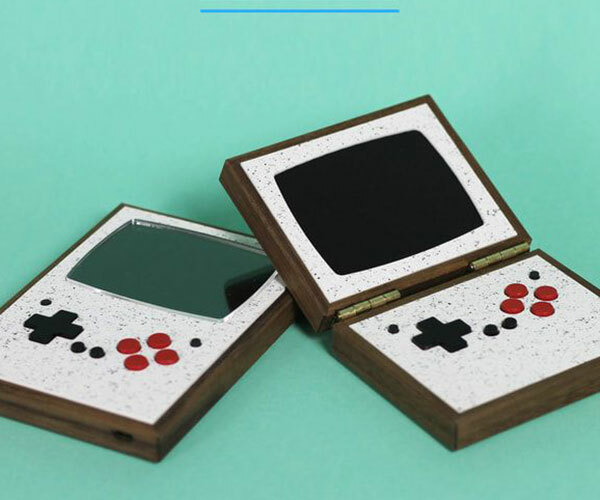 It’s based on Analogie’s Nt mini console and comes with two 8bitdo controllers.